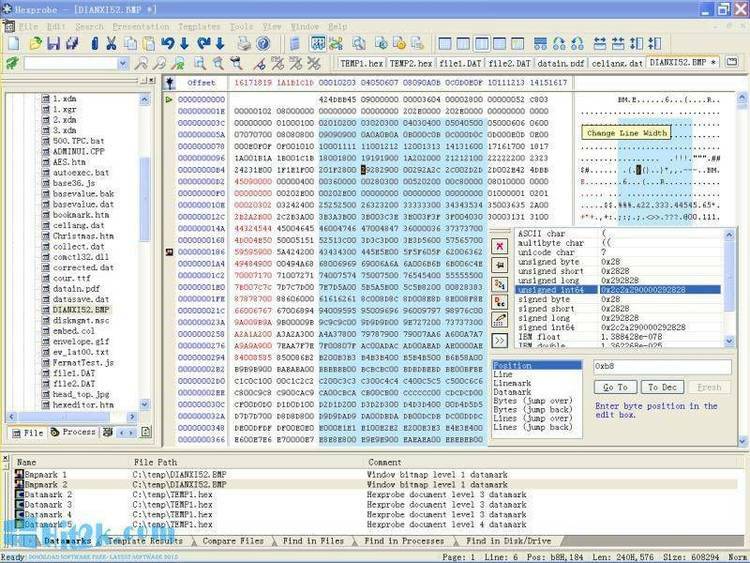 Hex editor with log, undo, many nice features. requires four lines per discrepancy. with no option to continue. FileComp that it should ignore file size discrepancies. as File1 and JUNK.NEW as File2.